Innovative and inspired, the Cipriani Cabinet by Eichholtz has been thoughtfully designed to combine both elegance and practicality. 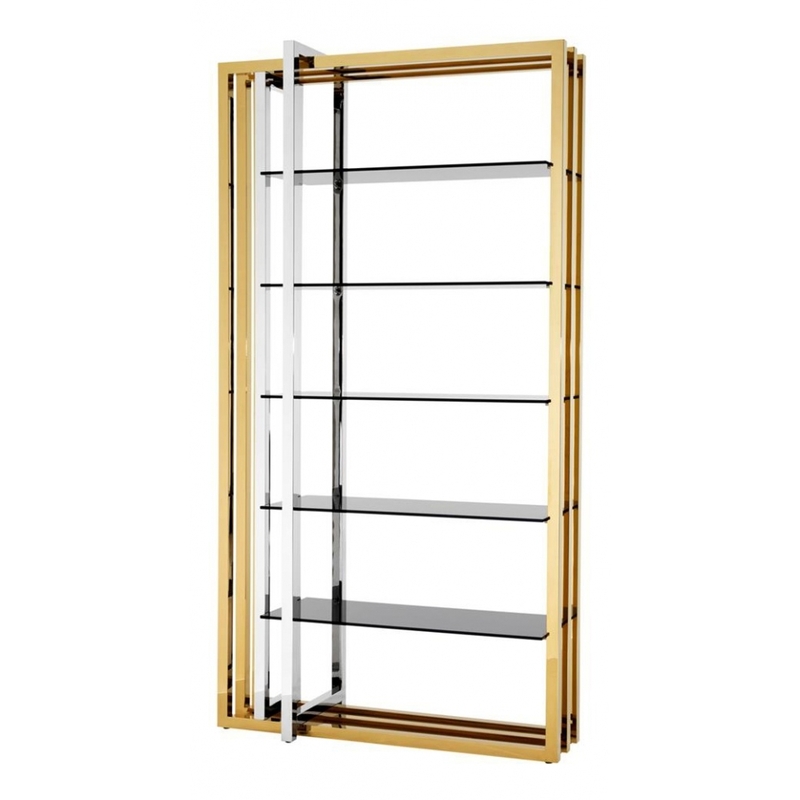 The beautifully proportioned gold frame is perfectly balanced with the polished stainless steel intersection to create added interest and rigidity for the luxurious smoked glass shelves. This sophisticated yet dynamic design will enhance many home, business or hotel interior design schemes from Traditional, Deco, Modernist and Contemporary. Style with rich textured drapes and leather upholstery for a classic home office, plush velvet and modern florals for a boutique hotel foyer or keep it simple with clean, linear furniture as a display unit in a Spa or restaurant reception. Dutch interior design house, Eichholtz pride themselves on their eclectic collection of beautiful furniture, lighting and accessories carefully selected from around the globe. Founder, Theo Eichholtz travelled the world from a young age developing a discerning eye for craftsmanship and style, and sources only the finest of the finest items to add to their luxury brand catalogue. Here at Uber, we have an extensive directory of Eichholtz luxury homewares to choose from. Why not contact our expert interior design team for further details and inspiration to help you find the perfect curated collection for your next home, yacht, bar or hotel design project?